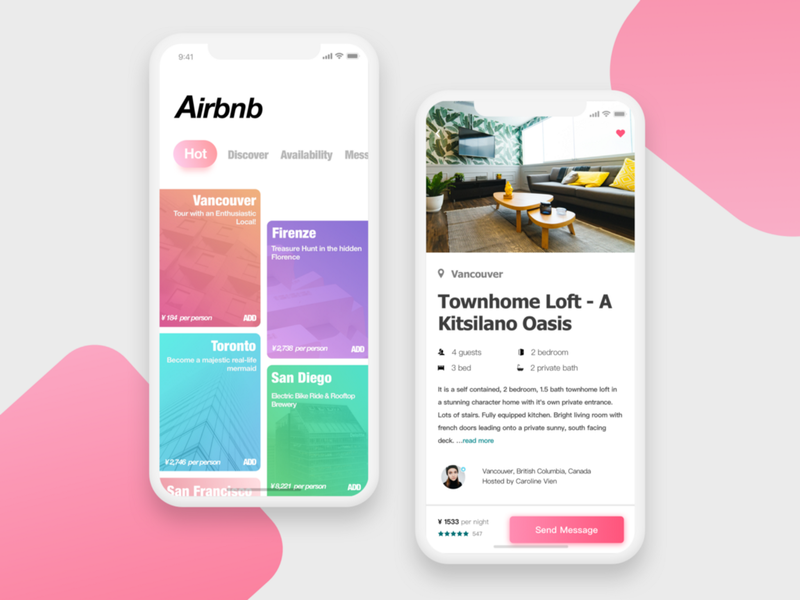 How to build an app like Airbnb? What do we look for while traveling to a new place? We look forward to a new thrilling experience but at the most economical rate. Imagine that you can find all of it on one platform, A Home away from Home. 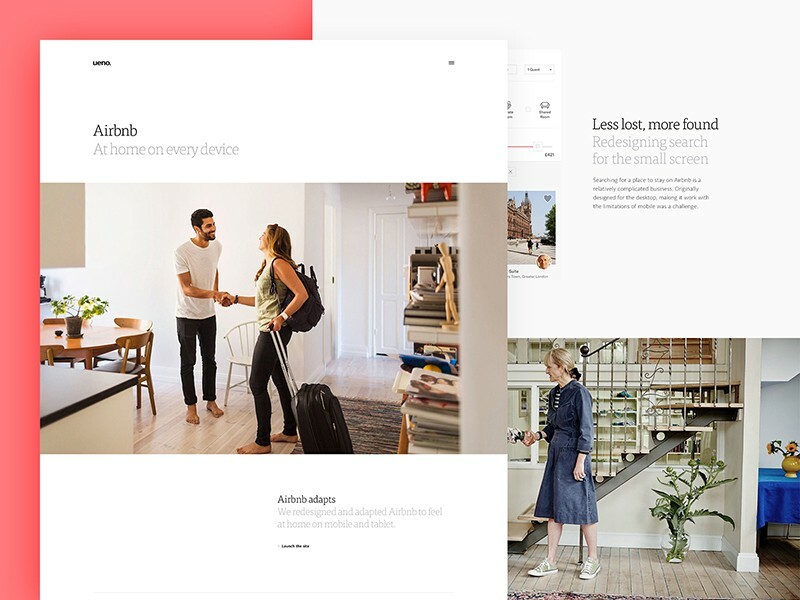 Airbnb is a travel app which provides a platform for apartment rental opportunities all over the world. Airbnb serves as a tempting marketplace for owners of property and people seeking short-term accommodation. Airbnb has changed the way people tend to look for apartments. It provides captivating opportunities for property owners and travelers. This digital platform serves as an interactive environment for people i.e. the Hosts who earn by renting their property to guests who are looking for affordable accommodation. Airbnb is functional over 190 countries worldwide. That’s the major reason that in no time, it has completely conquered the global market. Host — People who own a house or property and want to lease/rent them. Airbnb receives Commission from hosts upon every booking. Guests — Travelers, families going for a vacation and or official work who want to stay comfortably at affordable prices. They receive a commission from guests upon every booking. Freelance Photographers — Airbnb has a varied network of freelance photographers in most of the cities across the globe. Once the host lists their place on the portal, these photographers are hired to take high-quality pictures of the property. They are directly paid from the Airbnb portal. Travelers looking to explore new places. People looking for extra income who can hosts to earn. 191 countries and 65,000 cities Airbnb are actively involved in. Log-in / Sign-up — The users are supposed to log in with their pre-registered IDs or create a new account by filling their details like name, number, etc. they can also sign in via their email address or social media channels. Manage account — Edit, manage and update personal profile information like email id, mobile number, date of birth, gender, permanent address, etc. The account password can also be changed. Chat and push notifications — Like any other messaging app, Airbnb provided instant notifications for chats. Search Filter — Users can look for desired accommodation by filtering their travel like Dates, room type, price range, required amenities etc. Host interaction — Users can communicate with their host via messages even before booking their stay. They also have the liberty to accept or decline offers and create new requests. Payments — Users can select the payment method and can access the receipts and pay details of the transaction. They can also view every transaction history. They can switch to the desired currency too. Create wish lists/Saved — Missed out a place due to high rental or non-availability. No worries, you can wishlist them and get notified if the rental falls. Booking — Also, the booking done by a user can be checked. It can a past cooking or an upcoming one. Coupons — Coupons can be used during checkout. These coupons can be earned by referral codes. Maps — Airbnb simplifies the booking process with maps. They help in showcasing the location with rentals, around the area the user wishes to stay in. Help — Users can view the FAQs sections and ask for help in case of any confusion with the booking or in case of seeking any booking or hosts related help. Rate and Review — Users can share their experience with the hosts by rating and reviewing them. Sharing — Users can invite friends to through social media accounts to download the app. These features can also be added to make it stand out even the more. Receive SMS Notifications — Users can receive messages to notify them about their booking and also promotional offers. 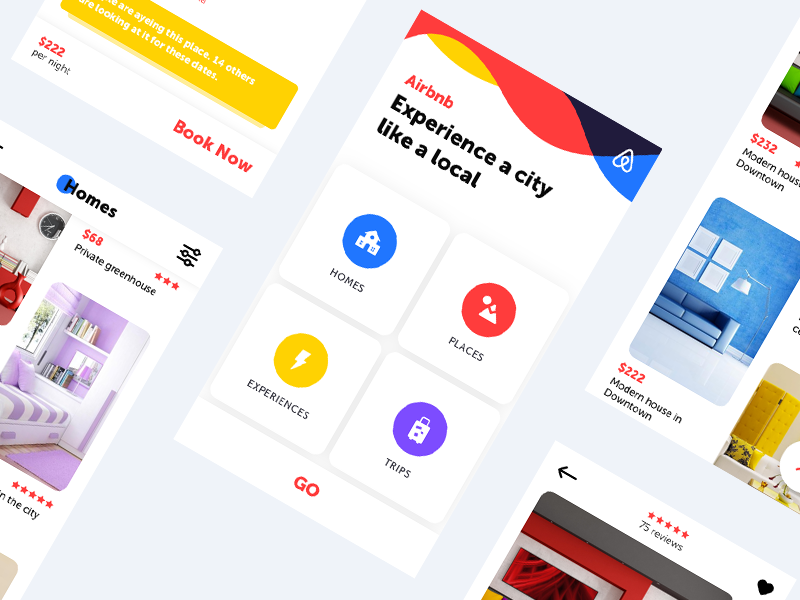 Supplementary — While making an app like Airbnb, more social media channels and payment methods can be integrated with it. Registration — The Host can fill in their details and register themselves by listing their vacant property. Log-in or Sign-up — The hosts are supposed to log in with their pre-registered ids or create a new account by filling their details like name, number, address etc. They can also sign in via their email address or social media channels. Manage Personal page and profile information — Edit, manage and update personal profile information like email id, mobile number, address, etc. The account password can also be changed. Manage listings — The listings i.e. the property details like the amenities available and pricing can be handled under this section. New pictures can be uploaded whenever required. Booking Listing — All the upcoming bookings can be seen in a systematic way, in form of a calendar view. Each date of the month will showcase the bookings. Request — This is a passage for accepting or declining the user’s request for your space. Messaging feature — Hosts can freely communicate with their guests through the chat feature. They can revert to all the queries of the guests even before booking or confirming their stay. Create and send new requests to guests. Rate and review guests — Each guest can be rated and reviewed according to their behavior and conduct. Account Details — This helps in adding or removing information in the account. Help — Guest can view the FAQs sections and ask for help in case of any confusion with the listing of their property or in case of seeking any booking or guest related help. Sharing — Hosts can invite friends to through social media accounts to download the app. Booking History — All the previous bookings and the payments received can be tracked down here. Also, the revenue generated can be estimated. Dashboard — The admin dashboard to view all the users registered(new and old), hosts(new and old) and the photographers. Manage new listing — All the new listing uploaded are scrutinised and processed further. The admin panel provides the liberty to edit, add or delete listings, according to the need. Booking History — All the previous and new bookings can be checked here. There’s also an update on the current status of each reservation. These can also be edited, updated or deleted. Feedback and complaints — All the feedback provided by the guest and hosts can be viewed here. Any complaints with regard to the hosts or guests can be processed here. Insights — All the details of the previous and current activities can be observed here. These detailed insights help in future decisions. With the growing popularity of Airbnb, there are several more who offer short-term home rentals platforms out there. We have covered the most prominent, Airbnb like hosting platforms. Check out these alternatives! Homeaway has over a million listings around the globe and its presence in 190 countries. It is considered to be the main competitor of Airbnb as it provides all the services that Airbnb offers and also has its own insurance program. it’ owned by Expedia and it operates regional sites like VRBO, TravelMob and VacationRentals. It has a lot of upscale listings. Flipkey is a major company run by TripAdvisor. It has a large number of users and the highest quality manual verification program by the websites employees. The “vacation rental marketplace,” as called, has been expanding with almost 3,00,000 properties in about 160 countries. It doesn’t offer shared rooms but has unique property filters like dog-friendly, kid-friendly, or waterfront property. This Singapore-based vacation rental company may not be as large as Airbnb but offers about 80,000 properties worldwide. All their apartments and homes are instantly bookable. They focus mainly on the security and claim all their hosts are 100% verified. The guests can take advantage of local deals and perks which is not yet a feature at Airbnb. If the team is small and functional, the process can go smooth. Let’s say, the project manager handling more than his part. Else, other than a designer and developer, a lot more people like project manager, system administrator, quality assurance member will be required in the team. 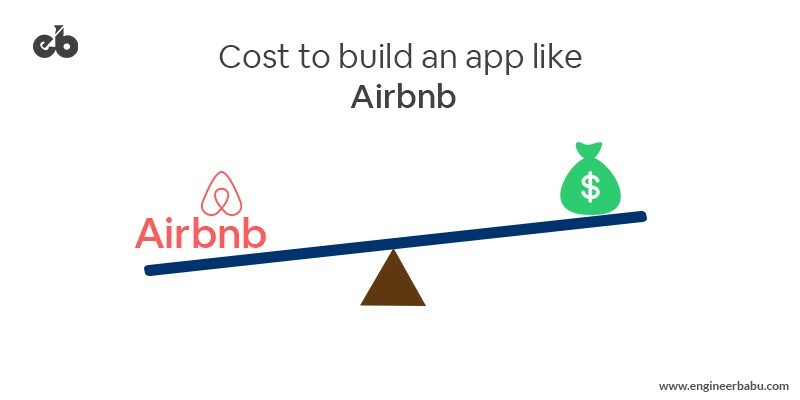 The cost of building an app like Airbnb fluctuates based on different platforms. iOS, Android both need different app screens to adjust the app too. All this is decided based on the target audience, device environment, etc. Moreover, android app development takes a little more time than iOS as it has more devices to be tested against. Another important factor in development is the features and functionalities one wishes to incorporate. Basic features like past booking history, reviews, and ratings, data of the hosts, communication between the host and traveler, etc. occupy a lot of space and result in a surplus charge. Airbnb being a big app, has to look good to attract the customers all around the global market. It should leave a long lasting impression on the mind of the viewer to lure them into making reservations. The app should be easy to use and the design has to be engaging. Another aspect os the design is whether its standard or customized. New, unique visuals can be added instead of the stereotype backdrop. New designs will definitely shoot the development price. The most vital point is, where are you looking for the developers. The place or location of the developer is one of the deciding factor. Also, the cost will vary based on the experience of the developer and his/her expertise. In-app purchases and any other special features. Any technical complexity that you desire to add, be it simple, medium or high, will affect the costing. Different features like geolocation, data sync, booking calendar, in-app calling, etc. will definitely give a raise to your budget. Above, was just a basic analysis of the factors that might affect the cost of development. To determine the pricing of the application, an estimated development cost will be calculated with the approximate time required for creating each feature. The development time is calculated in hours and the rate per hour varies from company to company. Each company has its own rate per hour. I am considering an average price of development per hour $30, based on worldwide standards. Now let’s assume we are building an app solely for iOS platform. Next, we determine the app architecture. Every project commences with initial action steps. We can calculate the hours per step by diving the app into different components based on the overall app resources, modules and technical base used. Registration/login feature — The basic step is registration so that the user will be able to access the app. To start using the app, it would be seeking the agreement of the user with the conditions and policies besides the other fundamental details. This would consume around 10 to 12 hours. The listings and search filters can be used by hosts as well as users. A host can add information on the house type, room type, accommodation details, photos, pricing, etc. if user is looking for a place to stay in, they will require details about housing like location, check in and check out dates, house type, and size, amenities, host language, photos of the home, price range, etc. as this feature is vast, developers can take up to 24 hours to build it. Maps allow the users to freely search for a perfect location, check various spots on the maps, and spot a place to stay. Map localization helps to see the routes, neighborhoods, and amenities in proximity to the location. All these help in choosing the desired place to stay in. A user can easily invite a friend to download the application and join it. This is a fundamental feature by which the user can bookmark certain results and add them to favorites and view them later. This feature helps the user to translate the description of the rooms into their preferred language. It is enabled through the Google translator, the text is sent to google translator and translated into the chosen language. This personalized feature shows the sites and neighborhoods around the chosen location. It shows the locations around that can be visited. Once you sign up as a host, you need to fill in all the required details, the app will show you the approximate rent you can charge for your house/apartment/room. The server-side part of the app is very crucial as the product requires time to configuration from both client and server side. The client side is how it will virtually interact with a user and the server side includes its functionalities, server connections, etc. the back end is the most time-consuming part of the entire process. So, what’s our grand total? Image Source: Dribbble — Ueno. After having dealt with all features and modules, we have reached an estimate of the development cost. each a total cost of $28140 — $30840. Which is approximately $29000 — $31000 considering the $30 per hour as the average rate for counting the cost. However, this can vary depending on the mobile app development company and the technology they use. Moreover, the hourly rates differ from country to country. After looking at all the aspects and stages of development, we may say building an app is not an easy and swift task. However, if all the things are lined up in a proper manner, not only will it be super successful but also very affordable. 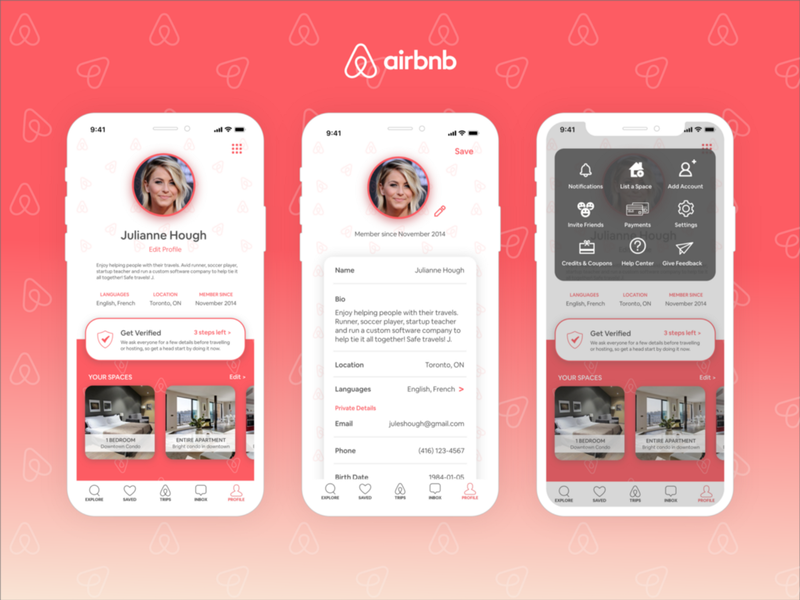 In case you have some queries about the cost of building an App Like Airbnb, let us know your exact requirements here and we will let you know the estimate. EngineerBabu, being an experienced app development company, Airbnb-like apps are now just a piece of cake for us. If you wish to hire our team of experts, we are just a call away! Our clients are highly innovative and we respect them for coming up with innovative challenges for us. Spare some time to know about our creative solutions to various technological challenges with our case studies here. Did you hear what our clients have to say about us? Get to know us better by reading the work experience of our clients with us. Here is our complete library of innovative mobile apps which we have developed for our clients across the world. Feel free to ask for a demo and we will help you with it. We would love to be your app development partners. Please drop a detailed inquiry about your requirements and our team will get back to you as soon as possible to discuss further on the development. On a scale of yay to nay, how helpful did you find this guide? Please share your views in the comment section below and we would appreciate your efforts. Did we miss out on an aspect or two? We’d love to expand our knowledge. 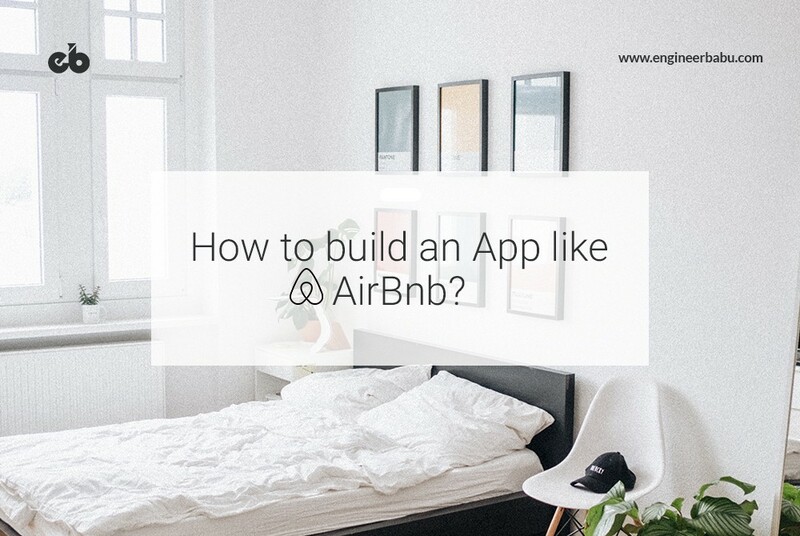 How to build an app like Airbnb? was originally published in Hacker Noon on Medium, where people are continuing the conversation by highlighting and responding to this story.